The ideal home improvement finance option will vary from property to property, and person to person. It will depend on the type of improvement and on the homeowner’s current financial situation. Just like you, every financing situation is unique, so there isn't a one-size-fits-all option. But there are some main types of financing for energy efficiency home improvements and renovations that you should consider. What Different Types of Energy Efficiency Financing Options Are Available? You have all types of financing options available to you if you're looking to do various upgrades, renovations, and improvements to your home or commercial building. You have your traditional means of general financing such as cash, home equity loans, and home equity lines of credit. But you also have new, nontraditional types of financing such as energy efficiency mortgages (EEM), property assessed clean energy (PACE), and more. Here we explain to you your various types of financing options in more detail, so you can choose which ones makes the most sense for you. Everyone knows, cash is king. But cash isn't always readily available, or you'd rather reinvest your cash elsewhere instead of paying for a project up front. That's smart investing. You also have home equity loans and home equity lines of credit available to you, so read on to learn if these could be the right option for you. Although it’s not usually a realistic option for large projects, some homeowners may have cash on hand to cover the cost of the upgrade. Obviously, cash isn't specific to energy efficiency financing, but always good to know that it is an option. Home equity loans and home equity lines of credit are secured by the property much like a mortgage, while an unsecured personal loan will not be tied to the home, but will usually come with a higher interest rate. Homeowners focusing on efficiency improvements, renewable energy or natural disaster preparedness may have specialized options that could prove more beneficial than the standard choices. Efficiency-focused financing is designed to put energy-saving upgrades within reach of everyone. This special class of financing includes energy efficiency mortgages (EEMs), various forms of on-bill financing where you pay for the home improvement loan through your utility bill, property assessed clean energy (PACE) financing, and energy service performance contracting (ESPC). These financing choices are designed to make efficiency upgrades more accessible for property owners because the terms take into account the cost savings and environmental benefits that the efficiency improvement could bring to the property and the homeowner in the future. An energy efficient mortgage (EEM) takes the cost of energy into account. If the home is efficient, the owner (or the EEM-backed buyer) will have lower utility bills and, therefore, could potentially afford higher monthly mortgage payments. EEMs could allow buyers to “step up” to a more expensive home. What if you’re not in the market for a new home, but want to improve your property’s energy performance and value? PACE financing covers specific efficiency upgrades. Like EEMs, PACE is designed so that the homeowner can enjoy the benefits of energy efficiency. PACE financing removes the barrier of upfront cost, which makes efficiency goals difficult to achieve. The financing covers 100% of the initial costs associated with the PACE-approved efficiency improvements, renewable energy installations and other fuel-or-electricity-saving upgrades. Ygrene finances hundreds of different types of energy efficiency projects, including ones you might not consider "energy-efficient". Click here to see the full list of projects that Ygrene PACE Financing can cover in your state. 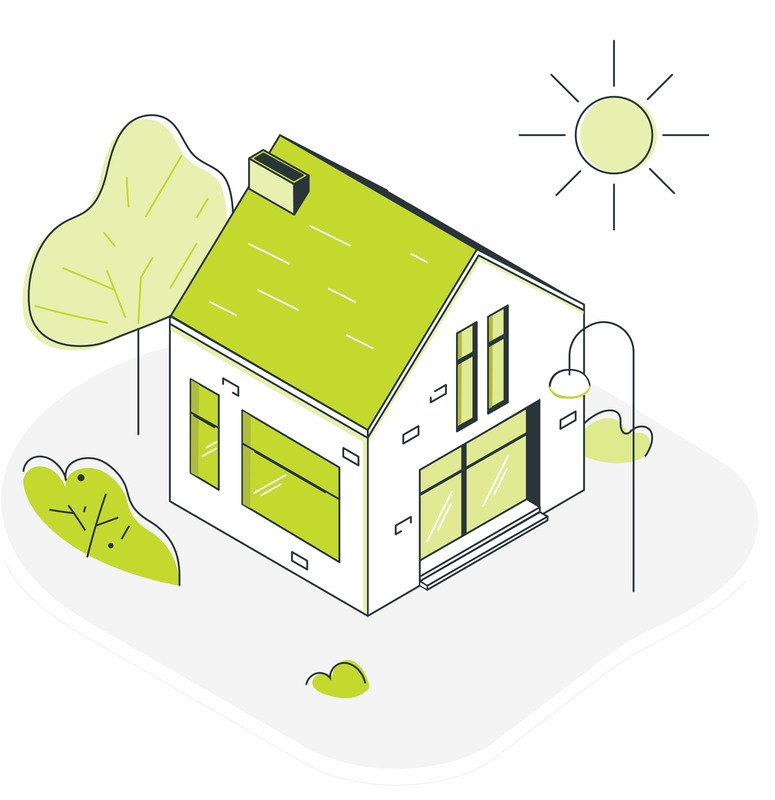 Can I Qualify for Ygrene Energy Efficiency Financing? Efficiency-focused home improvement finance options can make energy savings more accessible, but what about qualifying for financing? A PACE assessment is a “debt of property.” This means that it’s attached to the property and repaid through the property taxes. Approval will depend on the property’s equity and the homeowner’s ability to pay, not their credit score. This trait alone can make PACE financing and the benefits of greater energy efficiency more accessible to homeowners. Even if they can’t qualify for a standard home equity loan because of a low credit score, they may still be eligible for PACE financing. Furthermore, the first PACE payment may not be due for 12 months. This could give homeowners time to start realizing the savings that their efficiency improvement should bring. PACE financing is available in various communities across the United States. To see if your property is eligible for Ygrene PACE Financing Upgrades, click below to find out in minutes!